Hi everyone and happy wine Wednesday. I hope you are keeping well and enjoying the sunshine. This will be a shorter post than usual as I have my French Wine Scholar exam on Tuesday, March 18th to study for. As stated last week, I would submit my tasting notes of the Bordeaux white wines we tried last week in class. Here goes! When you say “Bordeaux” images of big glasses of red wine appear. However, Bordeaux is quite rich in white grape varieties as well. The white grapes of the Bordeaux region focus mainly on three grape varieties: Sémillon, Sauvignon Blanc and Muscadelle. Sémillon covers 54% of plantings and Sauvignon Blanc 36% with the remaining taken up by Muscadelle, Ugni Blanc, Colombard and Merlot Blanc. This region, specially located on the Left Bank in Graves is an appellation called Sauternes – it has found fame with its’ sweet white wine category as Sémillon is a great attractor of Noble Rot (Botrytis Cinerea). These are luscious, sweet wines made from Sémillon with notes of tropical fruit, marmalade, dried apricot, honey and peach. It takes anywhere from six weeks to two and half months of successive passes through the vineyard to pick only the grapes that have been infected with Noble Rot. This is done by hand and is very labour intensive which shows up in the final price of the product. 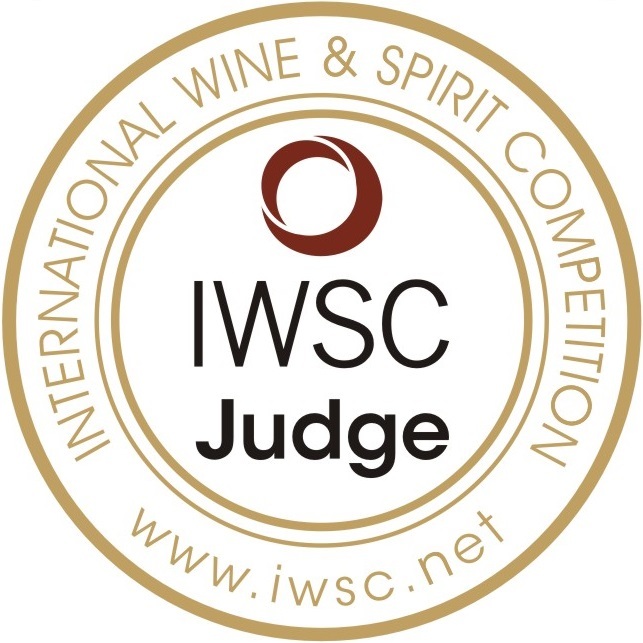 White dry wines of Bordeaux are currently transforming as they are doing away with copper-sulfate sprays. Research has shown that this spray was almost leeching Sauvignon Blanc of its wonderful odours. So, now – Sauvignon Blanc and Sémillon blends have a more perfumed and pleasurable appeal. Château La Maroutine 2012 Bordeaux AOX (12.5%) $25.15 This is a very basic example of a white blend made with 80% Sauvignon Blanc and 20% Sémillon. Nice acid but a bit austere, it was fresh tasting with some citrus and floral notes. I prefer many New Zealand Sauvignon Blanc’s in the under $20 range more than this white Bordeaux blend. 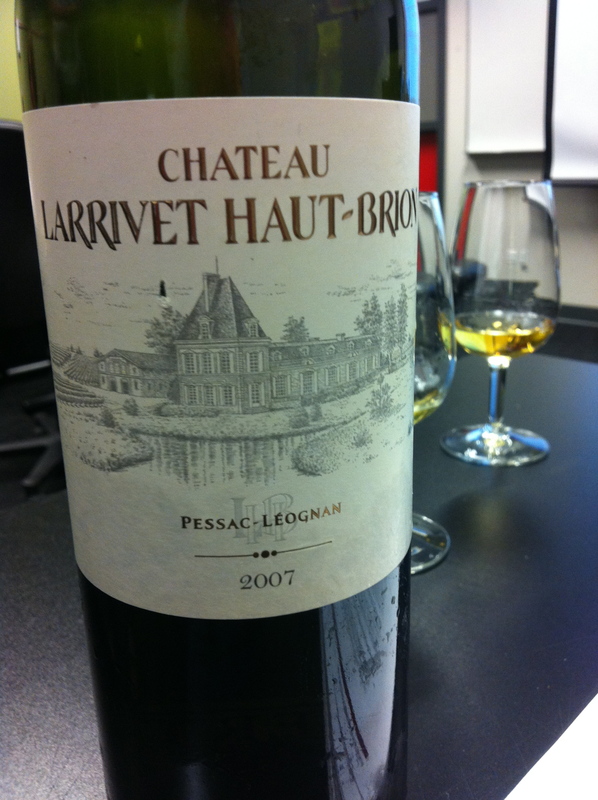 Château Larrivet Haut-Brion 2007 Pessac-Léognan AOC (13.5%) $84.99 Holy complexity bat-girl! This was an amazing example of a white blend made up of 65% Sauvignon Blanc and 35% Sémillon. Tropical notes of canada, mango, lemon curd, bees wax and a hint of nuttiness! 2007 was a banner vintage for Bordeaux and this is a shining example. Full bodied, medium acidity and a hint off-dry. Delicious. 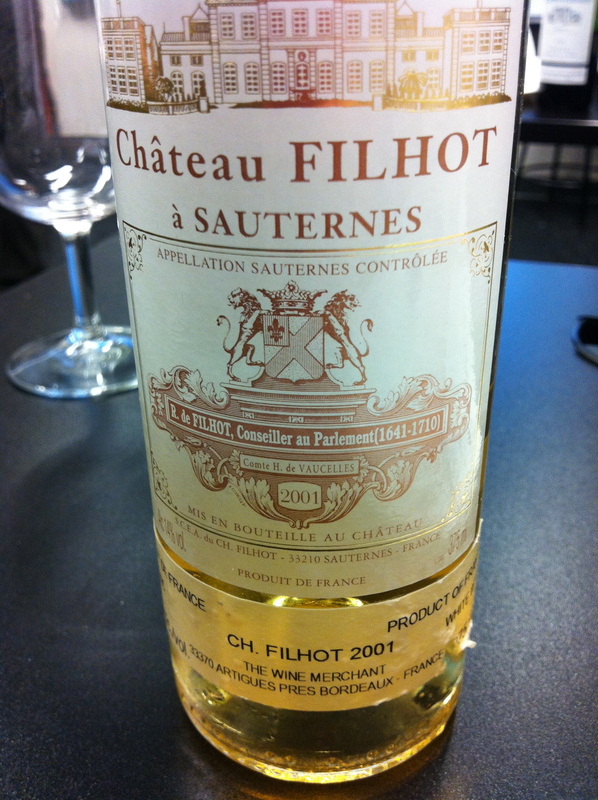 Château Filhot 2001 GCC en 1855 (14%) AOC Sauternes $49.99 (375 ml bottle). You can get this little lovely at Liberty Wine Merchants. I am not usually a sweet wine fan but was impressed beyond belief that this wine. Notes of ginger, dried fruit, honey, oak and spice with a hint of dried flowers. This wine, that is already 13 years old has another 15 – 20 years of aging still to it! If you are looking for an anniversary gift or a part of a wedding gift – this is it! And, when we paired it with Roquefort cheese – I swear I heard the angels singing!